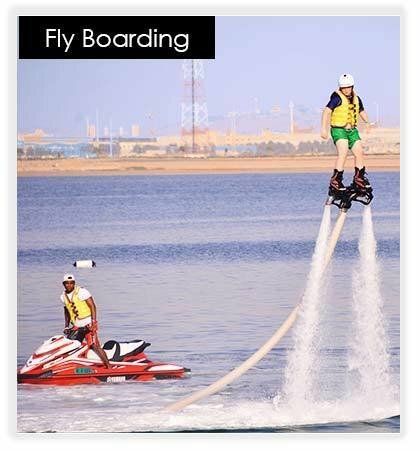 Fly-boarding is the newest action water sport in the area! A fly-board is a foot mounted board which is connected to a personal watercraft (jet-ski) via a 18 mt hose. The output which would usually propel the watercraft is redirected to two jets on the bottom of the fly-board, creating lift. Our trained, professional fly-board operator will be controlling the throttle of the wave runner, so all you have to do is fly!